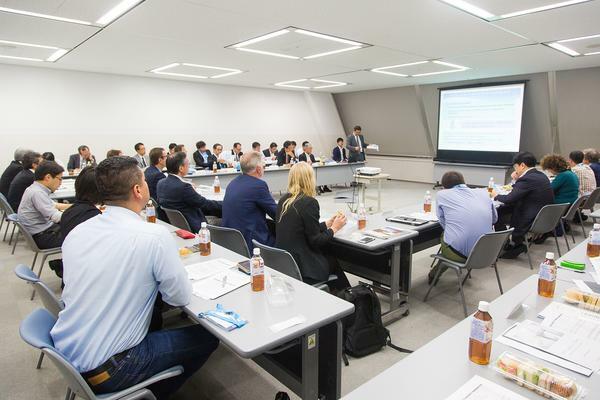 In the evening of 19 September, during the IWA congress in Tokyo, JWRC (Japan Water Research Center) and KWR organised a side event for Japanese drinking water utilities and international Watershare partners. JWRC has been a Watershare partner since 2016. 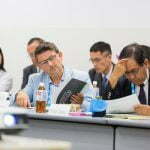 Managers and experts of four large water utilities in Japan (Tokyo, Yokohama, Kawasaki and Chiba), and Watershare members from various countries (Sweden, Oman, Belgium, South Korea, Greece, the Netherlands), participated in the event to share views and explore possibilities for future collaboration. 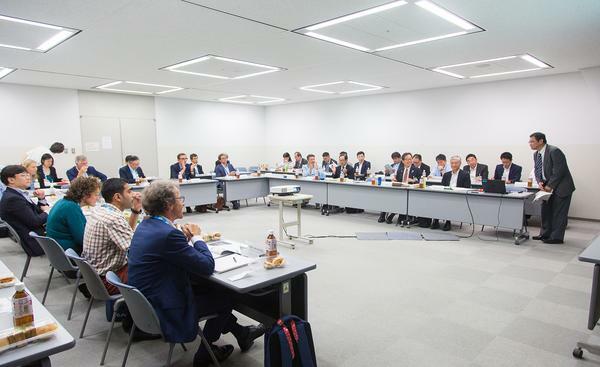 Marielle van der Zouwen, manager of KWR’s Knowledge Management Research Group, opened the meeting by showing a picture of Shinichiro Ohgaki, the president of JWRC, at the Fushimi Inari shrine in 2017, writing a wish to promote the partnership between Watershare and Japan on a wooden charm stick (‘ohitakigushi’). ‘I am so glad and proud that, just one year after the wish was made, we are able to grasp this great opportunity,’ said Marielle. The workshop continued with a brief talk by Christos Makropoulos, NTUA representative and KWR Chief Information Officer, about the global advance and implementation of asset management, ICT and resilience. He stressed the need for collaboration and information sharing in this new era of asset management. 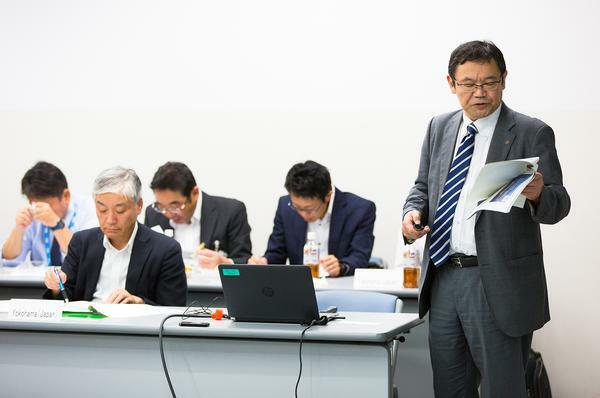 The presentations that followed by four Japanese water utilities outlined the issues and challenges faced by Japanese water suppliers. These included measures against decreasing water demand and aging facilities, installation of automated water-quality monitoring systems to safeguard water, and earthquake-resilient water systems. 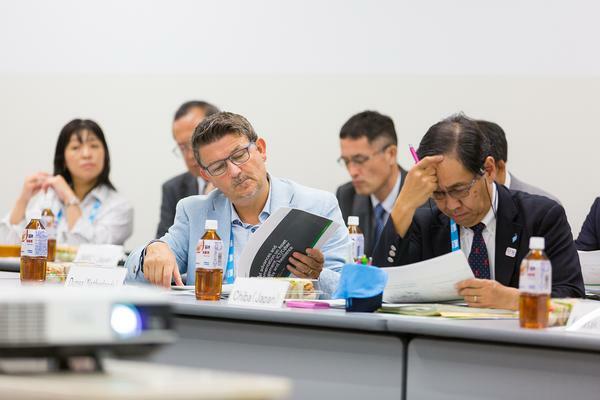 Subsequently, Theo van den Hoven, Watershare director, spoke about how Watershare, a global network of water experts, can bridge science and practice, with examples of local applications of Watershare tools all over the world. Dragan Savic, KWR’s CEO, wrapped up the meeting saying: ‘We reached, or even exceeded, the goal of the workshop, by sharing knowledge and getting to know each other on this special occasion’. 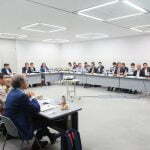 Finally, Prof. Ohgaki closed the meeting by wishing the foreign participants a pleasant stay in Tokyo, with a suggestion that they visit the Senso-ji temple in Asakusa. ‘Then you can extend the wish to promote our future collaboration,’ Ohgaki said. 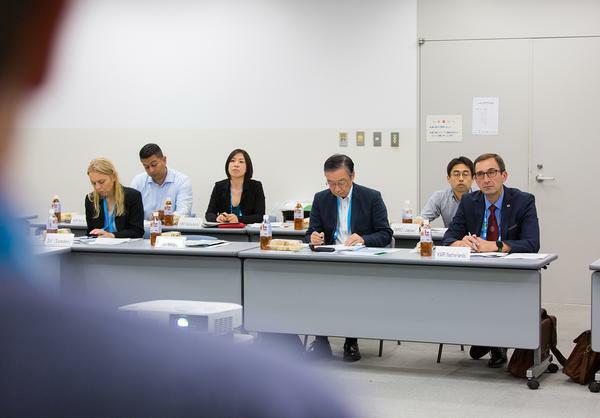 This workshop definitely was a good first step in strengthening the ties between the Japanese water sector and Watershare. 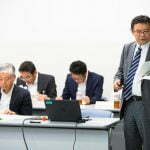 The partnership will be followed up during the international symposium on water supply technology in Yokohama in 2019, organised by JWRC and Yokohama Waterworks Bureau.